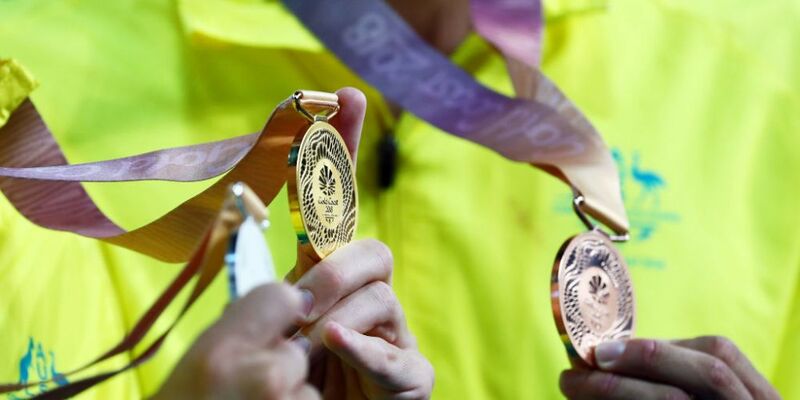 THERE may only be four days of competition left, but that doesn’t mean Australia will be slowing down at the Gold Coast Commonwealth Games. Yesterday’s day 7 action was no different to the six before it, with the Australians again dominating on the podium. The national tally of 145 medals (including 57 gold, 43 silver and 45 bronze) is lightyears ahead of second placed England with 76 medals. A handful of West Australian athletes were involved in day 7 action-read how they went below. Maddison Keeney (Diving) from Karrinyup did not have as strong a showing as she would have hoped in the women’s synchronised 3m springboard final. Keeney and her partner Annabelle Smith struggled to synchronise in the seven-team final, finishing seventh on 224.31. There was still a reason to celebrate, with fellow Australian pair Esther Qin and Georgia Sheehan winning the gold medal with a score of 284.10 ahead of pairs from England and Malaysia. In the team sports, the Kookaburras were challenged but still managed a 2-1 win over New Zealand in the men’s hockey, while the Australian netballers, including West Australians Courtney Bruce and Caitlin Bassett, continued on their winning way with a 72-51 defeat of Jamaica.